Distributed Generation is an efficient on-site power system that produces electric power and thermal energy for heat, steam or air conditioning. This form of power generation is known today by many names and acronyms. Cogeneration or combined heat and power (CHP) are two. CHP is not a single technology, but an integrated energy system that can be modified depending on the needs of the energy end user. These systems simply capture and utilize excess heat generated during the production of electric power. CHP systems offer economic, environmental and reliability-related compared to power generation facilities that produce only electricity. By capturing and using the waste heat, these systems normally consume 50 percent of the fuel burned by a central power station to provide an equivalent amount of energy. Because greenhouse gas emissions are related to the amount of fuel burned, CO2 production can also cut in half using a distributed generation system. This website will provide you information on the various technologies available to produce your own power with recoverable heat. By making continuous use of both electricity and thermal energy, you can save up to 35 percent on overall energy costs. 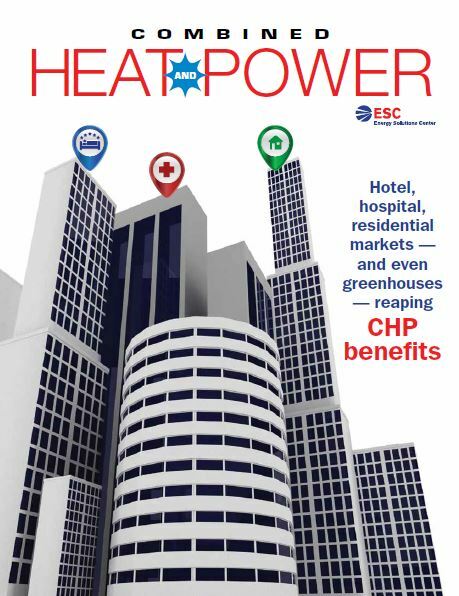 2018 Combined Heat & Power Magazine now available! View articles and case studies from real people who are using Combined Heat & Power.